The base for the playing cards is the basic madeira cake. I set oven to preheat at 180C. Beat 120 gms butter and 120 gms caster sugar until it was fluffy. In a separate bowl, I broke two eggs and beat them lightly. Also mixed 160 gms flour with a tsp of baking powder. Then I beat in a tbsp of egg at a time, alternating with a tbsp of flour. Added the rest of the flour and mixed well to form the batter. Added a tsp of vanilla essense and then, I poured the whole mixture into a baking sheet lined with paper and baked for 30 minutes so ended up with a sheet cake. Once the cake had cooled, I cut it into rectangles roughly the size of playing cards. 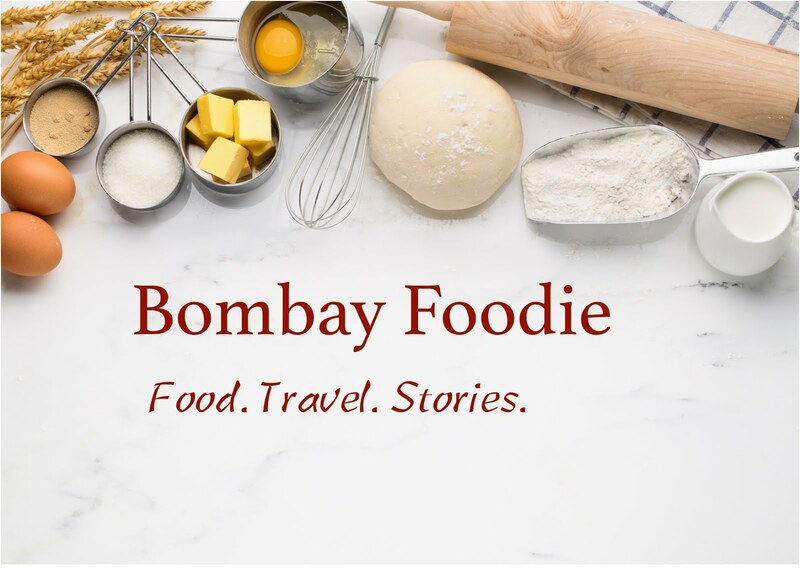 Next, I made buttercream by creaming 50 gms butter with 100 gms icing sugar and adding a tbsp of warm milk and 1/2 tsp vanilla essence to bring it to a spreadable consistency. Spread the buttercream on the playing card slices, then piped in the numbers and heart/spades designs to make playing cards. It's my first time icing a cake, and it shows but at least it tasted great! For December, We are reading Anne of Green Gables by Lucy Laud Montgomery. If you would like to come join us, leave a comment here and I will get back with more details. Creative genius, Sim!! I love those playing cards that I can chomp on when I start losing:) Montgomery talks so much about food, I think I will be going crazy!! We should expect lots of variety there too! Oh! I love it too. And I must have read it a hundred times. Can't wait to read my other favorite - Anne of Green Gables! That's quite an inspired cake, Simran. 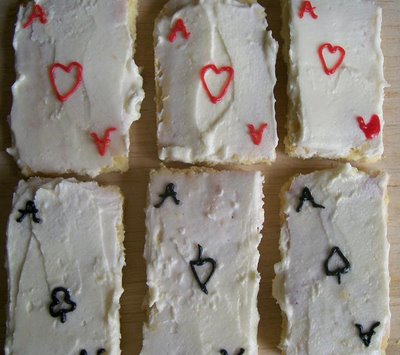 Playing card cakes, great stuff. For a first timer yur icing ain't too bad. You should have seen my first time. I coudn't control the squiggles! Cute and much inspired cake.I am very lazy to do such frosting.Love it Simran. Thanks for the mail and happy to know you are safe.Still take care.